Thank God It’s Friday. 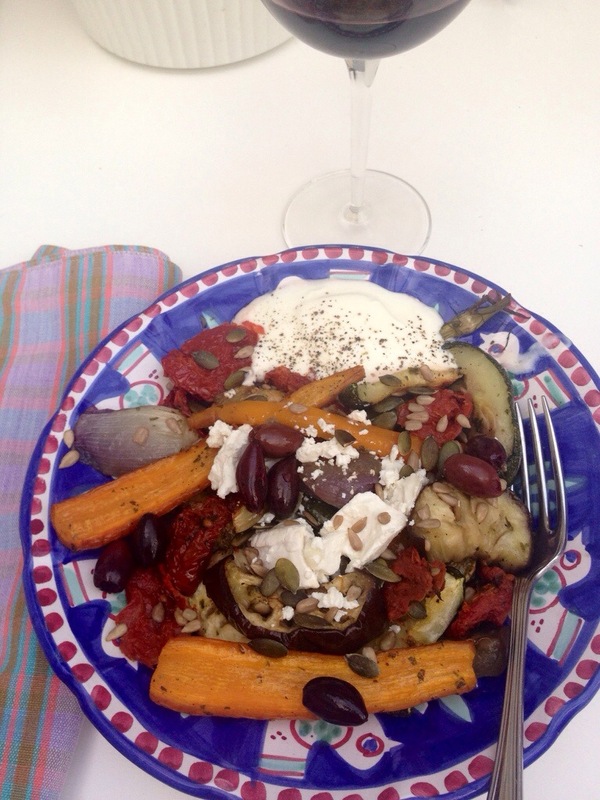 Best way to end the week is to sit down with some good food and tonight it is roasted vegetable medley with goats cheese. The aubergines have ‘sweated’ and have roasted in the oven with the rest of the mixed vegetables. This dish would make an excellent side to grilled fish but is perfectly fine served on its own – with a few sun dried tomatoes and a tad of natural yoghurt on the side.